in time for the upcoming holiday season. From the moment you hit the power button and watch your Chromebook boot up in eight seconds flat, you’ll notice that the operating system got a bit of a facelift. 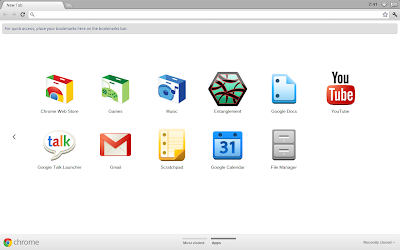 For example, the Chromebook now sports a fresh, clean login experience. We’ve also revamped the New Tab page to make it easier to manage your apps, bookmarks and most visited sites. By popular demand, we’ve added a few handy new shortcuts to the New Tab page: a shortcut to the File Manager on your Chromebook, as well as to music apps and games in the Chrome Web Store. You may have also noticed, we recently gave the Chrome Web Store a new look, so that you can easily scan the wall of images to discover fun and useful apps and extensions. 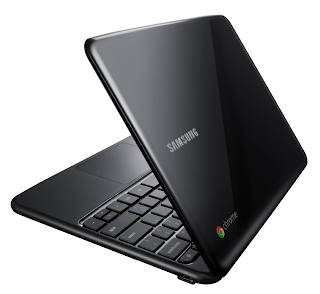 We’ve heard from many of you that one of the things you enjoy most about the Chromebook is its hassle-free simplicity. If you’re someone who’s often called upon to provide tech support when you’re home for the holidays like I am, you’ll be happy to know that the Chromebook gets your loved ones up and going on the web quickly, without the usual pains of computing like seemingly endless boot times and setup manuals. With that in mind, we wanted to share a few updates to the lineup of Chromebooks that make them more giftable to loved ones. For folks in the United States, Samsung is introducing a sleek, black version of its Wi-Fi only Samsung Chromebook Series 5. We’ve also been working closely with our partners to continually improve the overall Chromebook experience while making them even more affordable. So, we’re excited to share that beginning this week Acer and Samsung Chromebooks will be available starting at $299. The updated prices will be available through our online retail partners. Lastly, if you’re in the U.S. and you’d like to take a Chromebook for a test drive, visit the Samsung Experience in New York City or check one out when flying with Virgin America. We’re excited to hear your feedback, as we continue to build a faster, simpler and more secure experience on a computer that always gets better. In the meantime, we’ll leave you with one in a series of new film shorts that highlight some of the reasons why we think Chromebooks make a great holiday gift. The Chrome team elves have been busy packing a few goodies into Chromebooks in time for the upcoming holiday season. But what if you share a computer with family or friends? You may not want your bookmarks and settings mixing with your brother’s or your roommate’s bookmarks and settings, and you wouldn’t want their Chrome stuff syncing to your other devices. In today’s Beta release, we’ve added a new feature that lets people who use a shared computer each have their own personalized Chrome, and lets them each sign in to Chrome to sync their stuff. To try it out, go to Options (Preferences on Mac), click Personal Stuff, and click "Add new user." A fresh instance of Chrome will open, ready to be customized with its own set of apps, bookmarks, extensions, and other settings. A badge in the upper corner lets you know at a glance that this new Chrome browser belongs to you, and you can customize the name and badge as you like. Clicking this badge drops down a menu of all the users on that computer, so you can easily switch between them. 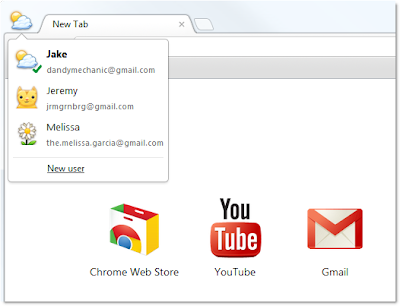 In addition, each user can sign in to Chrome to access their own personalized Chrome across all their computers. One thing to keep in mind is that this feature isn’t intended to secure your data against other people using your computer, since all it takes is a couple of clicks to switch between users. 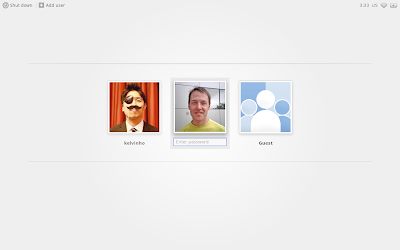 We want to provide this functionality as a quick and simple user interface convenience for people who are already sharing Chrome on the same computer today. To truly protect your data from being seen by others, please use the built-in user accounts in your operating system of choice. We’d love to hear your feedback on this new feature. Give it a spin and let us know what you think. If you’ve used Chrome on more than one device, you’ve probably noticed that Chrome just isn’t the same when you’re not on your main computer. You don’t have all your bookmarks, apps, and extensions. Your settings aren’t quite right, you have to retype all your saved passwords, and your omnibox doesn’t know which sites you visit often.